In June 2006, one of the world's largest alluvial diamond deposits was discovered at Marange in eastern Zimbabwe. Estimated to yield between US1 to 1.7 billion dollars per annum, the revenue from these diamonds has the potential to breathe new life into Zimbabwe s ailing economy. Farai Maguwu of the Centre for Natural Resource Governance appearing in front of the Parliamentary Portfolio Committee of mines chaired by Hon. Temba Mliswa attempted to shed more light on how the diamonds were looted by politicians and their friends. "The issue of diamonds in Zimbabwe dates back to 1993 when De Beers got an exclusive prospecting order for Marange, not that they wanted to explore anything they had need there before they knew what was in the ground. 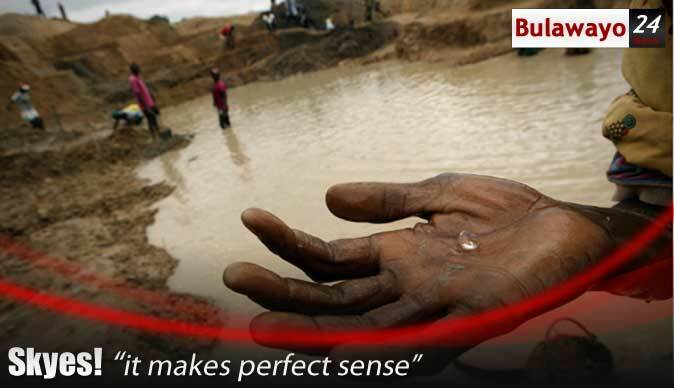 De Beers illegally extended its EPO against the laws of this country beyond 1999 to 2006." Maguwu said. "During its time De Beers were not exploring they were mining. A processing plant was set up at Bezel Bridge by De Beers in a business compound owned by one Mr. Nyamhindi where they began processing diamonds. They will take the ore from Marange to Beitbridge. Some of the diamonds were exported through Beitbridge using Fawcett security company vehicles. "The government was aware of this scandal. Villagers from Marnge inquired from the minister Amos Midzi that they were seeing suspicious activities happening. They were told that De Beers was doing doing exploration for fertiliser manufacturing. After that some MPs then began to push for an investigation into De Beers activities in Marange. "It is at that point that De Beers did not renew its EPO in 2006. But even then, the Minister of Mines was actually fighting in DeBeers corners that he is only going to give a license to anyone else only in the case that De Beers does not submit an application for renewal. "From 2009 government approached criminals in middle East and gave the licenses to come and mine diamonds in Marange. These criminals got into partnership with Zimbabwe Mining Development Cooperation to form what was called Diamond Mining Corporation. "Diamonds were looted by the Middle East criminals through buying them illegally from the Minerals Marketing Corporation of Zimbabwe at $3.50 per carat and sold to middle East. "Central Intelligence Organisation entered into a joint diamond-mining deal known as Sino-Zim, with Chinese convict Sam Pa. Sino-Zim operated a diamond mine known as Kusena Diamonds in the Chiadzwa area. Sam Pa through the Kusena Diamonds siphoned diamonds out of the country with the aid of the security agents." The CIO have always maintained that their mining venture at Kusena was not profitable, adding the $1 120 906,08 realised from the sale of 18 981,99 diamond carats was not remitted to the Presidents Office by the ZMDC. Global Witness also reported that the military was also involved heavily in the siphoning of the diamonds through their pseudo companies. One of the companies that mined the richest portion of the Marange diamonds was Anjin Investments. They alleged that alleged that 50% of the company was owned by another company, Matt Bronze Pvt (Ltd) and the other 50% is owned by an individual, Brigadier General Tarumbwa. The fact that 50% of the company that enjoys the largest share of the Marange Diamond Fields was owned by an army general raises questions over the deal between the Zimbabwean government and Anjin.